For fitting the standard brush types 36 and 37 we can supply our holders (C-profiles) of zinc plated steel from stock, with which the brushes can easily be replaced after wear. 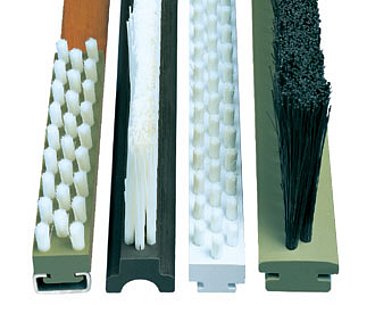 If you cannot use the standard types, it is advisable to use the advantages of our lath brushes standard cores. You can get the types listed in the table from stock. Polypropylene, acid resistant, straight or crimped, colours on request, dia. 0.10 mm to 1.00 mm.